For the past 18 months, the Greater Phoenix Chamber Foundation built a coalition of support to bring the Build Your Future campaign to Arizona to attract a diverse candidate pool to the skilled trades industry. Three years ago, the Foundation formed four workforce collaboratives to bring employers and educators together to develop strong talent pipelines in key industries poised for growth. As a part of that process, the Foundation created a Construction Workforce Collaborative focused on addressing the talent shortage in the industry. Construction is expected to be the strongest growing sector in the state. The Arizona Office of Economic Opportunity expects the sector will grow by 5.8% by 2020. Currently, there are more than 10,000 vacant skilled trades positions. 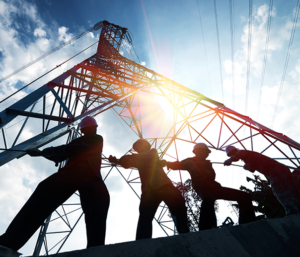 The lack of a skilled-labor workforce in the Greater Phoenix region is not only slowing the pace of growth for our construction companies, but it is hindering regional economic growth as projects continue to see delays. 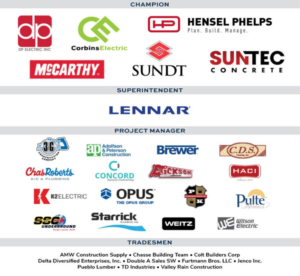 The Construction Workforce Collaborative, supported by the Arizona Builder’s Alliance (ABA), the American Subcontractors Association of Arizona (ASA), Construction Financial Management Association’s (CFMA) Valley of the Sun Chapter, and other community organizations, determined that to close the talent gap industry leaders needed to work together to build a stronger talent pipeline. Led by industry leaders, the Construction Collaborative developed a three-pronged approach to strengthening the construction workforce pipeline: career awareness, educational alignment, and earn and learn training models. The Foundation is launching a multi-faceted, multi-million dollar, multi-year career awareness campaign to promote the construction trades. Through a partnership with Build Your Future, the Foundation will launch a local Build Your Future Arizona campaign this fall. Build Your Future provides a collaborative grassroots approach to construction workforce forecasting and talent development that includes recruitment, training, placement, retention, and image enhancement strategies. The Build Your Future Arizona campaign will highlight the value of skilled trades careers, the career entry points, and the diverse range of positions and trajectories available to all individuals. The campaign will also provide an opportunity to showcase the more than 40 associate and certificate programs available in Maricopa County to train students in the skilled trades industry. Unfortunately, due to a lack of awareness, many of the programs go unfilled leaving educators and businesses in need of candidates. The Foundation and its partners aim to change the conversation surrounding the skilled trades and help connect people to training programs that prepare them for a high-growth career. As the capital campaign concludes, the Foundation looks forward to launching Build Your Future Arizona in the fall of 2019. Interested in staying informed? Follow Build Your Future Arizona on Twitter, Facebook, and LinkedIn.